The easy way to remove oak chips and cubes from your carboys! 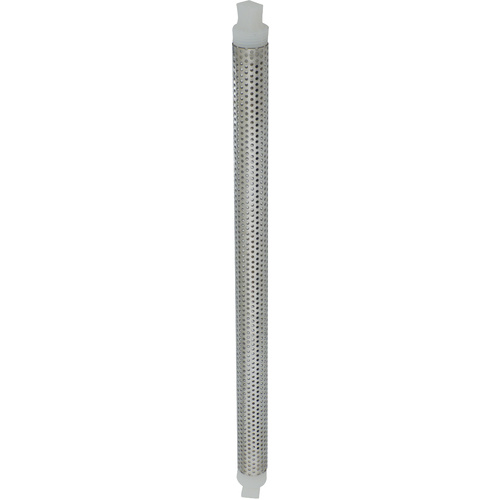 These stainless steel perforated tubes will hold 2 ounces of oak (chips or cubes), and can be lowered into the carboy. A small piece of plastic line is tied to the top stopper of the infusion tube, and will allow your carboy stopper to seal tightly while at the same time holding the plastic line securely against the mouth of the carboy. When it is time to remove your oak, grab a hold of the line, remove the stopper, and pull the Oak Infusion Tube out of your beer or wine! Made from stainless steel with silicone stoppers at either end for easy access to either side of the tube. 16" long. Fits carboys 5 gallons and up. Holds 2oz of cubes or chips.